Today I am visiting with Canadian rocker, Alex Ryder. Alex’s soulful voice carries above all the rest. Unique and talented, Alex is a star in the making rising up on the waves of her progressive, edgy sound. A former athlete, Alex’s ideas and beliefs about life and following your passion are refreshing and sobering. This is a MUST READ interview. Enjoy! 1. How old were you when you first started singing? What inspired you to learn? Because I was an athlete, I didn’t start singing till later on in life, after my teens; later than most people, probably. There was always music playing in my household as a child, and I love all different styles of music. When I retired from table tennis, I finally had the chance to focus on singing. 2. You just released your debut album, Won’t You Listen. Did you write the songs on this album? Where can your fans find it? I wrote or co-wrote some of the songs for this album, all credits on CD jacket. It can be ordered on-line at http://www.alexryder.com/ and http://www.eatingcrowrecords.com/ or purchased at CD Warehouse locations in Ottawa. 3. I hear you are already working on songs for your next album. Do you have a target release date? Yes, I am always trying to come up with new/different ideas; writing and co-writing new music with other talented writers/musicians for a future album. However, there are no pressures of a target release date or plan at this time, as we are currently promoting and focusing on Won’t You Listen. 4. You are a retired professional athlete, being inducted into the Nova Scotia Sports Hall of Fame this November, for your significant contribution to the sport of Table Tennis. How did you make the jump from athlete to vocalist? Tell us about your induction. I retired after spending the majority of my adolescence on the National Table Tennis Team. I travelled the world competing in National and International Competitions such as Commonwealth Games, Pan Am Games and Multiple World Championships. I had severe knee damage that eventually led to 4 surgeries. It was then I thought it was time to move on. Retirement gave me the opportunity to focus on another long time passion, SINGING!! The Induction is a great honor for any athlete. I’m very humbled and grateful to be alongside such accomplished inductees, especially in my home province. I am booked till the New Year with performances and interviews promoting my debut album, Won’t You Listen. I hope to be on tour in 2013. 6. What do you like to do in your spare time (if you have any)? When I do have downtime, I’m a movie fanatic. I have a huge collection of DVD’s, I love kicking back and enjoying a great action or Sci-Fi movie. 7. Do you have any advice for young, new vocalists who are trying to break out in the industry? The only advice I have is to go for what you want. Never give up on your dreams or passions. It’s important to pursue something you love, whether you succeed or not. Going for it and giving it your best is succeeding. It’s not about fame, money or fortune. It’s about you and trying not to have any “what if’s”. 8. Who is your favorite vocalist? I don’t have one favorite vocalist. But there are many musicians who have influenced my style of music; Joan Jett, Pat Benatar, Stevie Nicks, and Melissa Etheridge, to name a few. I also love Bryan Adams and Bon Jovi. One of my favorite all around entertainers is Michael Jackson. I am very proud to be a female ‘rocker’, as they seem to be getting fewer and far between. I love my fans, I feed off of them. Their support, comments and enthusiasm keep me pumped. I’d like to thank each and every one of them for coming out to concerts, purchasing the CD and spreading the word about my music. This business is based on people enjoying your music and performance. I have to say that because of them, I’m continuing to do what I love to do! A Big Thank You!! 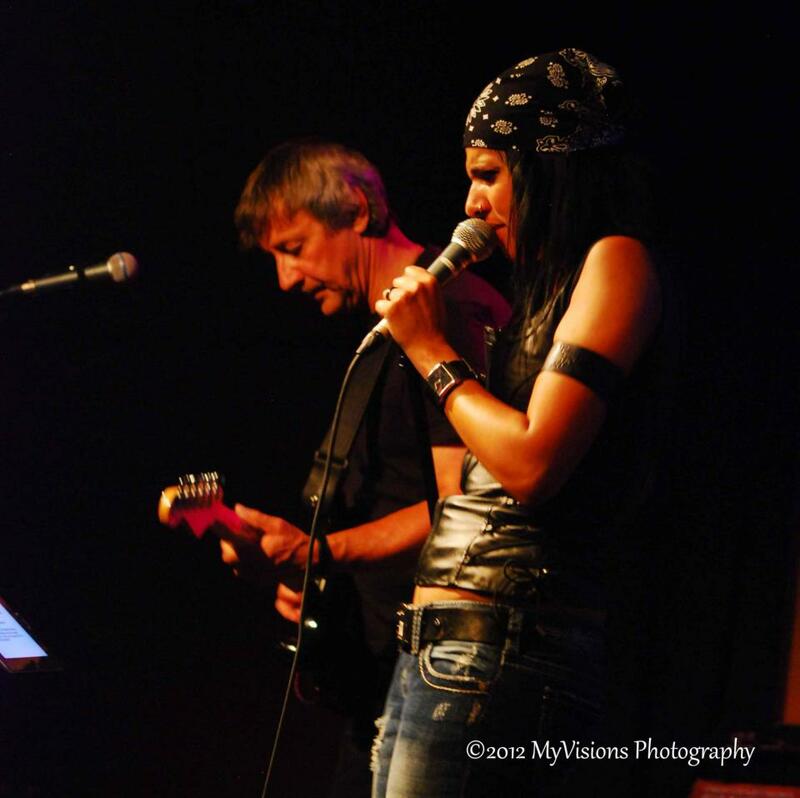 Singer/songwriter/guitarist Alex Ryder began working with music producer Joe Turner a few years ago, cultivating her sound and working live. Like many other independent artists, Alex has developed a large fan base, intrigued by her music, her soul, her look and her energy. She is a black artist with a groove all her own…walking the line between rock and hip hop she has just completed co-writing and recording her debut CD, Won’t You Listen. The last two years have been busy for Alex. She spent the early part of 2010 planning her CD, listening to original songs and writing and co-writing her own tunes. In 2011 she started putting the finishing touches on the songs and then recording them. While nearing the end of the CD’s production, for the title track, Won’t You Listen, which was written by Robert W. Blackwell and Carey Blackwell, Alex was offered the extraordinary opportunity to work with renowned producers Adam and Alex Anders (Producers for the television show, Glee), while adding the finishing touches. Alex’s debut CD, released August 2011, was an incredible success. The club was packed with hundreds of her fans, who witnessed classic Alex Ryder, the rocker. Her extraordinary stage presence is captured on her new video release of Won’t You Listen. 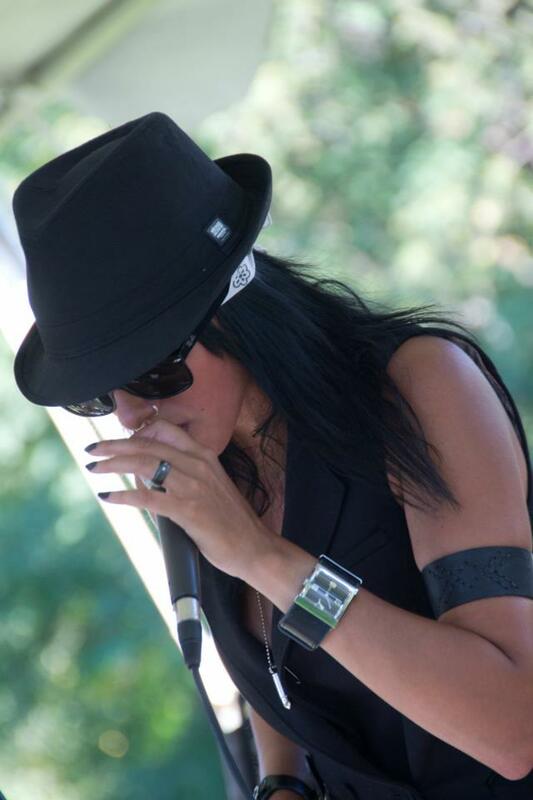 Upcoming events for Alex are available on the Alex Ryder Reverbnation page and Alex Ryder website. I really loved this interview, I also love music and it helps me with my writing. Wow it was so amazing to learn about Rocker Alex Ryder, I love how she shared about her career, her influences and the advice she gave for those that are tying to make it! Awesome! Great Interview Rayne and Alex! Bravo! Hey Rayne I have been trying to get over here all week but I kept getting sidetracked. This is such a great interview, I am a HUGE fan of female rockers, one of my biggest influences for learning how to play the guitar was Nancy Wilson from Heart, incredible doesn’t even begin to describe her talent. Alex I loved your answers, especially #7, I also love your humility, don’t ever loose that. Rayne you know I am a fan of yours, Alex I want you to know that I am a fan of you also, ROCK ON!!! An excellent interview and, like Jim Cantwell, I can relate to No.7. As a huge music fan always looking for new stuff, I will definitely check out Alex. Thank you both. Good job writing Interview with Rocker, Alex Ryder | Rayne Cullen. I’d like to learn more about this subject.